Services offered : TV, music system, any time room service, doctor-on-call, laundry services, currency exchange, travel desk assistance, care rental, banquet/business meeting facility, game rooms, and etc. 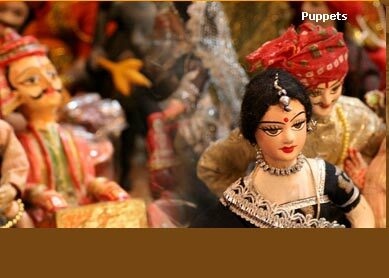 Nearby attractions: Several of Havelis, Temples and nearby villages. Known as The Open Air Art Gallery Of Rajasthan, Shekhawati region is one of the most explored region of Rajasthan. Castle Mandawa, a popular fortress and now turned into a standard heritage hotel, located here is one of the best way to give tourists an opportunity to explore the culturally and historically rich Shekhawati region. 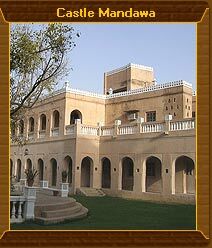 The golden hued grand complex of the fort Castle Mandawa is the best heritage hotel of Shekhawati. . The total 70 spacious and airy rooms of the Castle Mandawa are equipped with all possible modern comfort to put guests at utmost convenience. Interestingly, none of the two rooms of the hotel match in their structure, and each of them are beautifully adorned with fine furnitures, fabrics, curtains and murals. All rooms are air conditioned and are divided into four categories : Royal Suites, Luxury Suites, Deluxe Rooms and Standard Rooms. Dining experience at the Castle Mandawa add a greater charm to your vacation. Whether you are taking lunch in the mural painted dining hall or dinner on the open top terrace under the stars and folk dance performance or candle lit dinner in the lawn, the joy of dining is a unique experience. The veranda bar of the restaurant is well stocked with exotic range of alcohol. The other facilities and services provided by the hotel Castle Mandawa comprise of TV, music system, any time room service, doctor-on-call, laundry services, currency exchange, travel desk assistance, care rental, banquet/business meeting facility, game rooms, and etc. Camel safari, horse safari and jeep safari are arranged by the hotel officials. The best to avail is the camel safari ride as it gives guests the best possible way to witness the cultural and historical heritage of the region pervading in its villages. Popular havelis like Chowkhani Haveli, Saraf Haveli, Goenka Haveli and Ladia Haveli are close to the hotel. 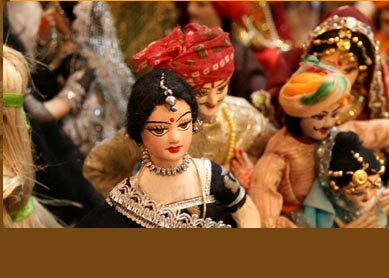 Vintage car rides are another way to let guests enjoy the Rajasthani royal experience. While being at the hotel, leisure can be enjoyed while rushing to Ayurvedic centre, swimming pool and spa, and game room equipped with pool table and other gaming facility.